Gardaí say a youth charged in connection with the death is due before the courts today. 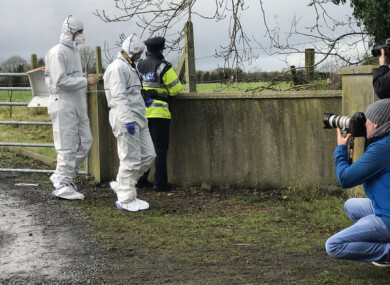 A TEEANAGER HAS been arrested in connection with the murder of a man in Edenderry, county Offaly last year. Bruno Rolandi was fatally stabbed at his home at Green Road, Ballyfore, Edenderry on 19 November 2017. The Italian national was in his 50’s at the time of his death. Gardaí have arrested a teenage boy who is due before Tullamore District Court charged in connection with Rolandi’s death today. Email “Teenage boy arrested in connection with murder of Italian national in Offaly”. Feedback on “Teenage boy arrested in connection with murder of Italian national in Offaly”.